Powerful and reliable: these two terms perfectly sum up the demands placed on the V8 engines in the DTM. The six BMW drivers have just one engine each for the entire season. With this in mind, the engineers and mechanics at BMW Motorsport gave top priority to absolute precision during the production phase. 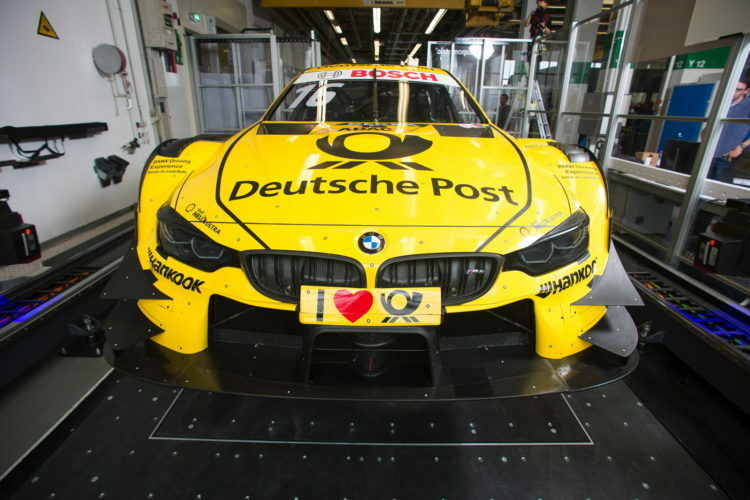 Here is the lowdown on the BMW DTM engine, the BMW P66/1. In 2017, DTM regulations allow a larger diameter – 2 x 29 millimeters – for the air restrictors, through which the engine draws its combustion air. This results in an increase in engine power to over 500 hp. The engine aspirates 260 liters per second – that is 2,000 times as much as a human breathes. The pistons in the BMW P66/1 accelerate 600 times faster than a lunar rocket. The pistons in the engine cover a combined distance that is the equivalent of traveling from Munich to Sydney over the course of a season. In one season, 1.3 million ignition sparks are generated in one engine. The water pump shifts about 19,000 liters per hour. At this rate, it would take just 20 seconds to fill a bath. All the power generated by the engine is transferred to the powertrain and rear wheels through screws weighing just 130 grams. The oil is pumped through the engine roughly 10,000 times in one season. Over the course of the season, enough heat for 60 sauna sessions is removed via the oil. 920 technical drawings were created for the engine. Placed next to each other, this is enough to cover more than a full tennis court.